Johnny Depp Movies List.org is dedicated to documenting the career of the “outstanding outsider” that we know as Johnny Depp. In his extensive career over the past 30+ years Johnny has brought to life a multitude of interesting characters. Doesn’t his role selection says a lot about the talented artist he is? 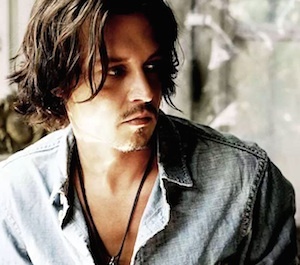 Did you know: 4 Johnny Depp movies are in the top 23 highest grossing movies of all time? They account for 15% of worldwide gross sales! Shying away from the spotlight and spending a lot of his time in overseas (France in particular), Johnny Depp is far from the Hollywood norm, literally and figuratively. Johnny got his start as an unknown in the classic horror feature film A Nightmare on Elm Street, the first in the series. Freddy Krueger didn’t kill his dreams though because he went on to become a heartthrob at the age of 25 in the FOX TV series 21 Jump Street, in which he played DEA agent Tom Hanson for 4 of the 5 seasons. Click on any title to see more info on the Johnny Depp movie or click a heading to show another list. Ed Wood 1994 Edward D. Wood, Jr. The following is a list of Johnny Depp films and TV shows by gross domestic (US) sales adjusted for ticket price inflation [January 2015]. Click on any highlighted movie title to see more information or click a heading to show another re-sorted table. The following is a list of Johnny Depp films and TV shows by gross worldwide sales not adjusted for ticket price inflation [Jan 2015]. Click on any movie to see more information or click a heading to show another re-sorted table.